Welcome. 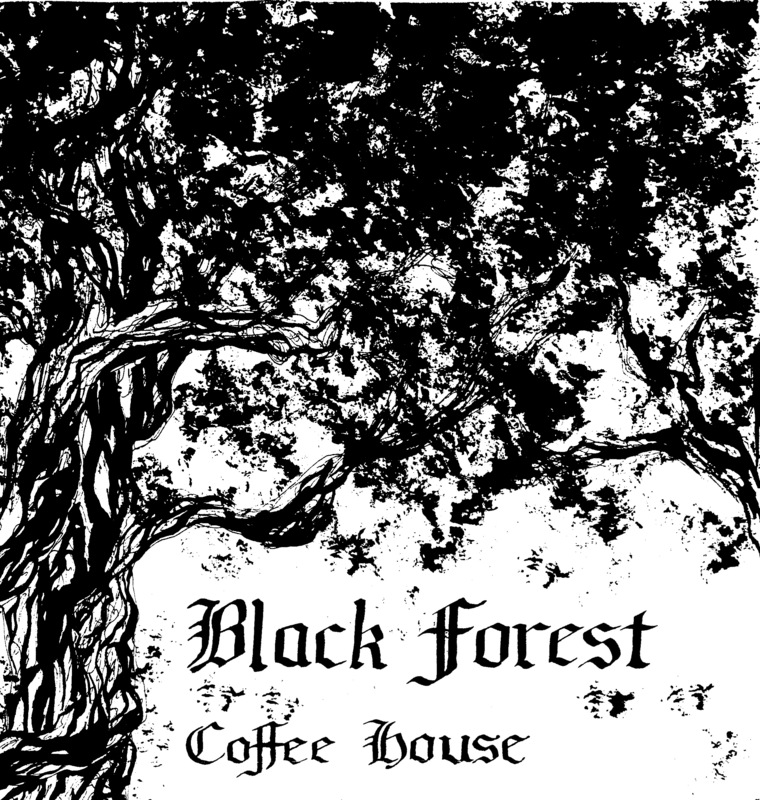 The first Black Forest coffeehouse was held at St. Paul's College at the University of Waterloo in the Summer of 1972. The songs presented here are from tapes made in the early 1970s. I was just a child when I recorded them! The recordings have been digitized and cleaned up a bit but there is a limit to what technology (and my time) can do. I hope you enjoy them. and I'll try to pull them off the tape for you. Each song is listed below. If you click on the song links below, a copy of song will be downloaded to your computer. Depending upon how your browser is set up, it may start playing automatically or you may need to remember where you downloaded it and click on it to start playing. Again, depending upon your browser configuration, you may need to hold down the "shift" key when you click on the song to force a download instead of simply playing the song. The file names have a roman numeral to represent the Blackforest session (i.e. I is Black Forest 1, II is 2 etc.) The number is just a sequence to keep songs from the same set together. That way after you download them you'll be left with a somewhat organized directory listing. There is far too much music here for one CD and even at that I didn't digitize every song. I selected a few songs to give a flavour of the music and created an audio CD which is at St. Paul's. This is a ZIP file containing MP3s of the 21 songs on the CD if you would like your own copy. It is 78MB. blackforest.jpg is a scanned image from one of the posters. If you want to make your own fancy CD label, this is the starting point. John Greenwood, Brad Sinclair, Bonnie Steele, Rein Selles. -what the heck is the name of the song I've called simply "jazz piano"? -Lesson Too Late For The Learning, with Paxton's poem "Something Very Special"
-In the Mood, two of Jim Gardner, Rick Hall, JoAnne Willment but I'm not sure which two! -April, come she will - Dorothy Jean Kitchen, Jim ? ?, ??? ?